Trimm has got you covered. 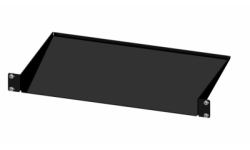 Adjustable heat baffles for flexibility, or fixed for standard Trimm panels. Choose your baffle. Contact Trimm with your questions. 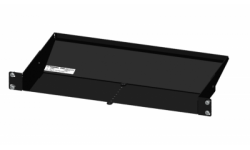 Heat Baffle, 1U, 19' Width, 9.5' Fixed Depth, #12-24 Mounting Screw Kit Included, Learn More… ..
Heat Baffle, 1U, 19' Width, 5-9' Adjustable Depth, #12-24 Mounting Screw Kit Included, Learn More… ..